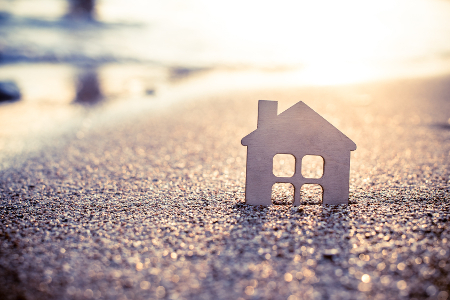 What sort of offer will secure my overseas property? So there we are, I’ve shown my buyers a property they love and they ask me ‘that’ question - “What sort of offer should I go in at”? There is no formula but there is a strategy. Upon offer – suddenly the agent will often say that there’s another party about to view. Odd that the property may have been on the market for a year, but even if this is the case, it can be quite unsettling. The market in many regions seems to be picking up and although it is by no mean a sellers market, buyers who can act quickly are always taken more seriously and are often able to negotiate much harder on price. When I was a commercial agent, I usually favoured buyers who could ‘perform’. By that I mean they had done some homework and could illustrate that they (or their advisors) knew what they were talking about and they were positioned to go through with what they were promising. Lets face it, as a buyer when you offer you are doing just that – making a promise that you have the desire, financial capacity and ability to proceed to complete on your promise. Have a lawyer in place as early as possible? I was more confident in a purchaser in their ability to trade who had a lawyer in place, as I knew they weren’t dreamers and were serious about the purchase. They had clearly given it some proper thought and prepared themselves for doing a deal, which lets face it, is the only thing any agent cares about. This probably warrants some further explanation. When selling a property, the owner is primarily concerned with obtaining the highest possible price in the shortest possible timescale. This is also the primary function for the estate agent – in any country. But it simply isn’t as straight forward as that. Through generating fees via a commission, based on the percentage of the price, they are indeed incentivised to get the highest price achievable. However, the keyword to focus on is ‘achievable’. As we all know the agent doesn’t get paid until they sell the property. The agent’s main aim is to get the deal over the line. Look at it this way. If an estate agent is selling a property at €200,000 and has an agreed commission of 5% of the purchase price, their office stands to receive €10,000 in commission. I know what your thinking – no wonder there are so many estate agents overseas! Say the agent gets an offer at the asking price from a cash purchaser who is known to them, but you offer slightly higher say, £205,000, who do you think they are going to do a deal with? If the seller accepted your offer the agent would receive an extra €250 – big deal! What you have to remember is that it’s the agent who recommends to the owner which offer they should take and as you can see, they aren’t likely to be swayed by an extra €250, especially as they are most likely to be staff and that will soon get watered down. The agent will be most concerned with who is likely to actually go through with the deal and who is in the best financial position. Ostensibly, which purchaser is in the best position to proceed and most likely to complete. Raising a bid doesn’t always work – raising your game will! If you can illustrate to an agent that you’ve done the basics by researching your area, and instructing an expert lawyer prior to travel, they are more likely to spend proper time with you, and less likely to fob you off with the stale instructions that they’ve been struggling to sell for months as you appear more clued up. When it comes your offer, you should only submit what you’re comfortable with, no matter the asking price. If there is other interest then the agent will recommend who they believe is most likely complete – and if you’ve taken my advice that should be you. If you are the only buyer circling the property, you’ll stand more chance of obtaining a discount by presenting yourself as a sure thing. Why "No Win, No Fee" can be "No Win, Still Pay"